Cooped up inside and going a little stir crazy? Here are some genius, low-effort activity and play ideas for all ages. Just look at those little toes, all scrunched up in concentration! A sensory bag is not only riveting for a baby, it will also help them practise their sitting and encourage them to reach and balance. This project from Mama. Papa. Bubba is super-easy to adapt with whatever you have at hand – shaving cream, gel, toothpaste, mini pom poms, different dried pasta shapes. 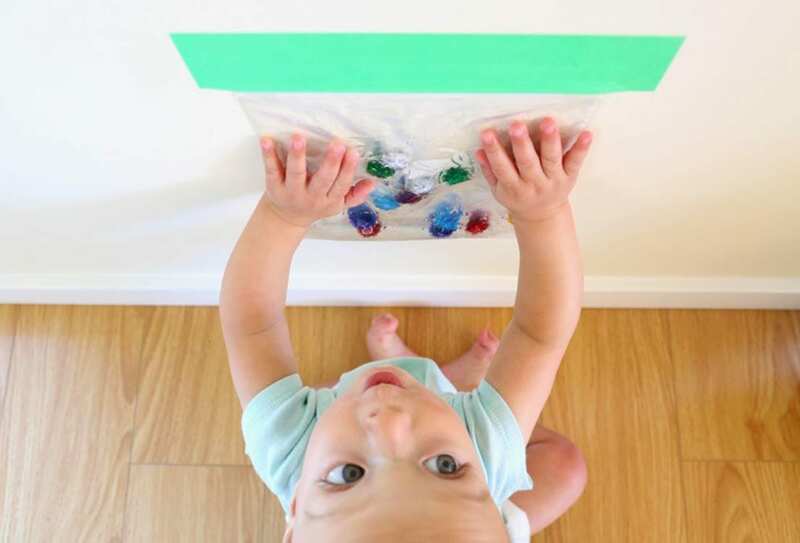 Simply tape securely in a plastic bag, then tape to the wall, and let them at it. If you don’t mind the mess, this wobbly dig is great fun for babies aged around 6 months. Kristie at Life As Mama Bear used gelatin instead of Jello to avoid all that sugar, mixing in some food coloring instead. 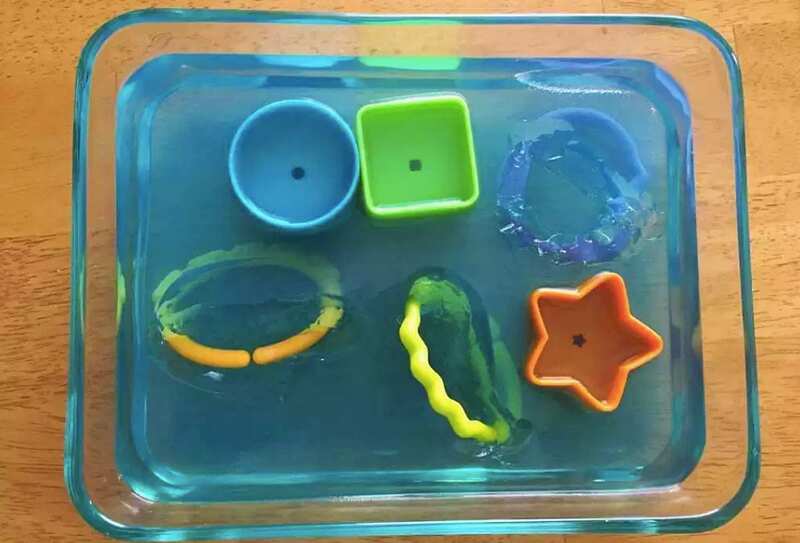 Drop in some large plastic bath toys or shapes, let it set, then hand over to baby. There are plenty of creative ways to use tape to enhance play. For example, you could use tape to lay out a hopscotch board, as seen on the blog, Uber Kid, or you could use tape to map out an entire city for their little cars and trucks, complete with roads and wooden-block buildings (a fantastic project to do together). 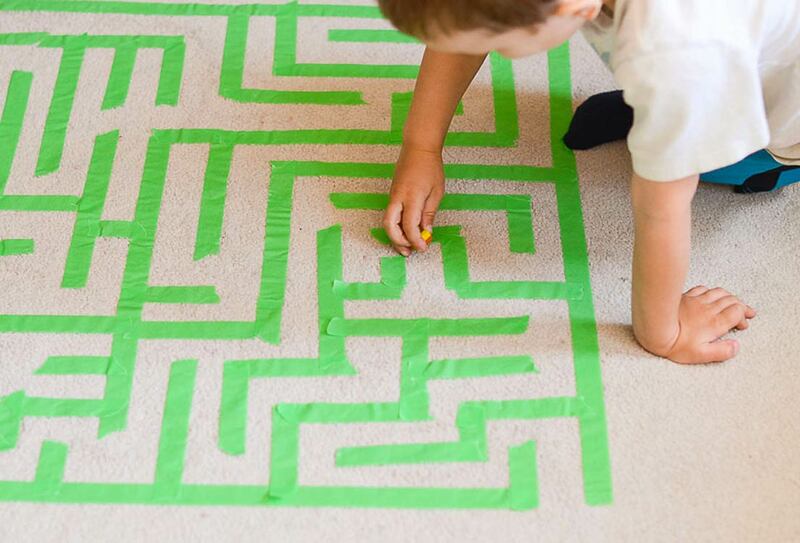 Another idea that we love is creating a huuuuge maze, as seen on CBC – visit them for even more genius tape play ideas. Meanwhile, The Tape Shape Game by Toddler Approved, is perfect for high-energy toddlers who need to let off some physical steam. 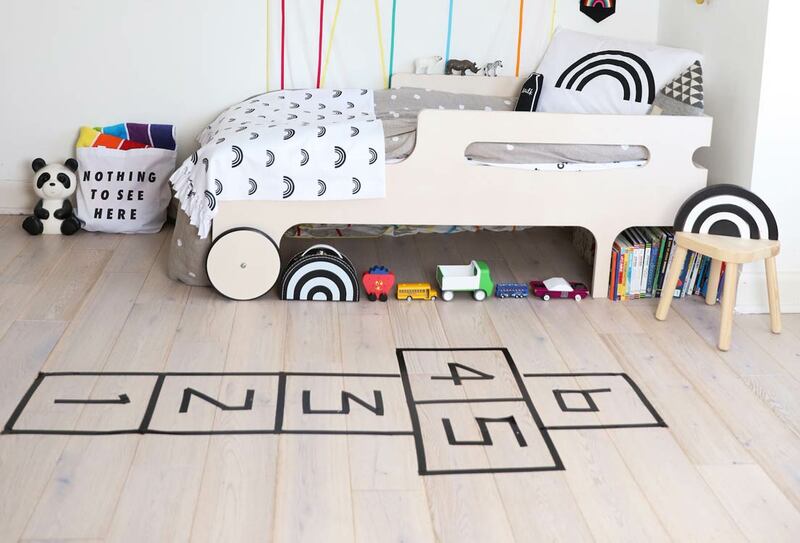 Simply tape up a myriad of shapes, letters and/or numbers on your floor, then give them directions (“Hop to the triangle”, “Slither like a snake to the letter ‘B’”, etc). 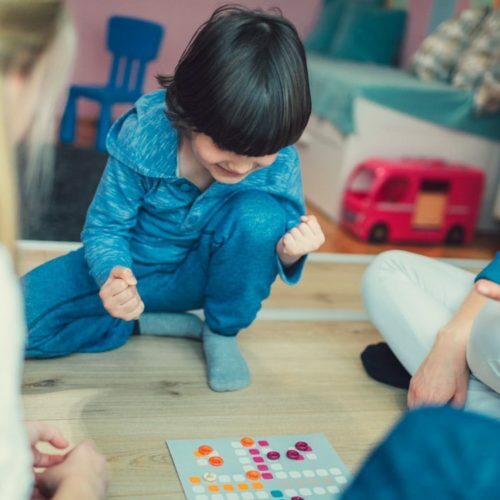 The game gets bonus points for teaching toddlers all about the alphabet, numbers, shapes and animals, and for building gross motor skills as they move around from shape to number to letter. Can you even call yourself a parent if you haven’t had your sofa demolished and bedding dragged to the family room, all in the name of building a fort? As time-honored a childhood tradition as learning to ride a bicycle, making a fort is a terrific engineering and creative outlet for kids. These skills are further tested and developed with our Crazy Forts range, which allows them to figure out angles, learn more about shape, length and measurement, and exercise their problem solving skills. 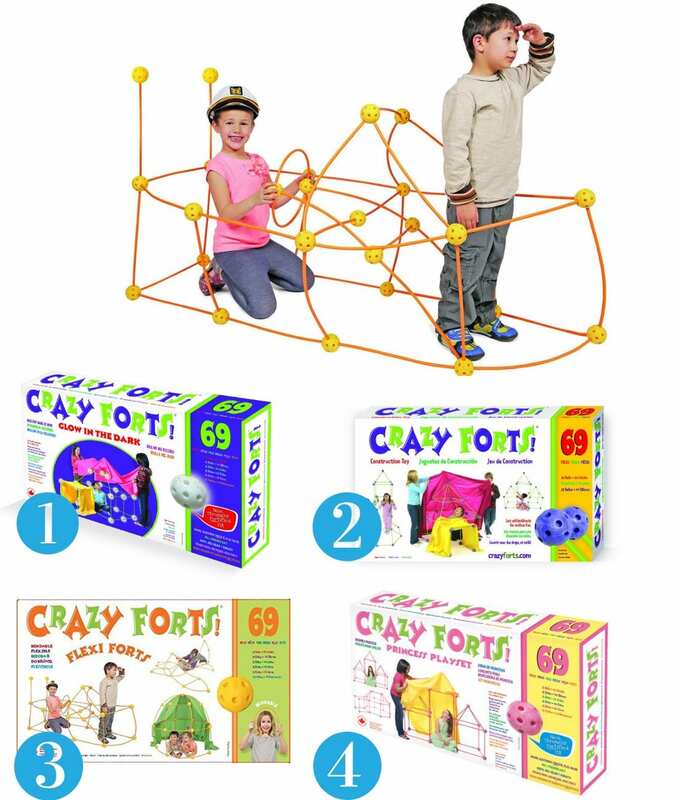 Recognized by Purdue University as a top-tier engineering toy, each 69-piece Crazy Forts playset comes with 25 ball connectors and 44 sticks, and can be constructed into whatever they can dream up. This is such a simple idea, we can’t believe we didn’t think of it before! No Time for Flash Cards suggests a puzzle hunt, easy to execute and so much fun that we guarantee they’ll ask to play it again and again. Just hide the pieces of a few wooden puzzles all around the house, and send the kids off on a hunt. As they retrieve a piece, they have to place in back into its puzzle slot. 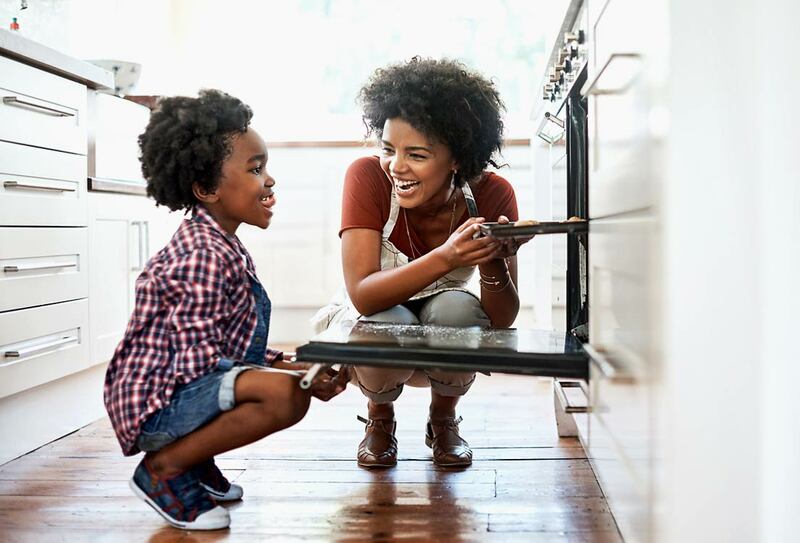 So many of us have the best memories of being in the kitchen with mom or dad, Grandma or Grandpa, and your kids will love it too. Make it a cupcake-decorating afternoon – buy pre-made frosting and set up a decoration station with candies, sprinkles and whatever else you have at hand. Or make it educational with alphabet cookies – this post from Momtastic uses pre-made sugar cookie dough, and doesn’t require alphabet cookie cutters. Let the kids roll out and create letters from long strips of dough – they’ll have so much fun, they won’t realize they’re also working on their spelling skills at the same time. Bonus: The house will smell amaaazing! 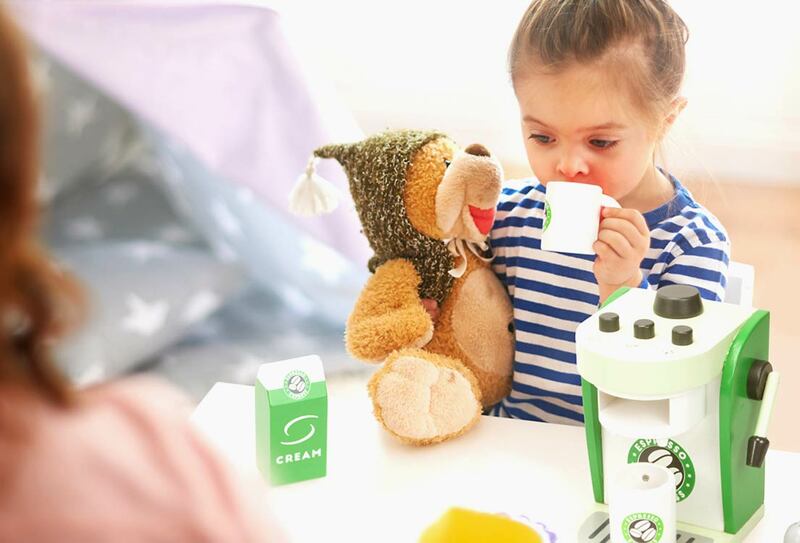 Whether it’s a coffee shop, a bakery, a clothing store, a greengrocer or a pet clinic, help your kids to set up a little business using their toys and what they have at hand. Get them to draw up price tags, menus, signage, and more, then let them start and run their “business”. 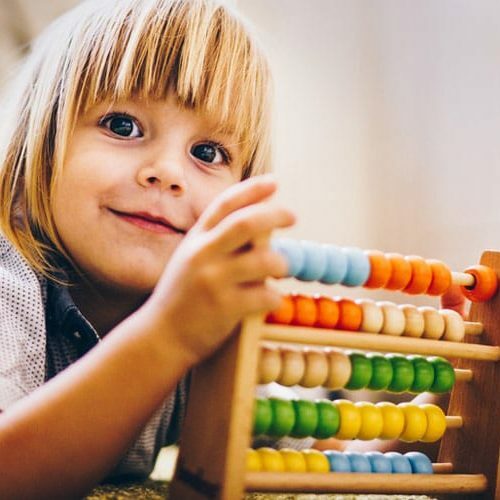 They’ll hone their math skills by making change, and of course, pretend play is brilliant at developing those vital social and language skills. The appeal of a puppet show is timeless, even more so if you involve the kids in creating the puppets themselves (they can use brown paper bags) and even the script. 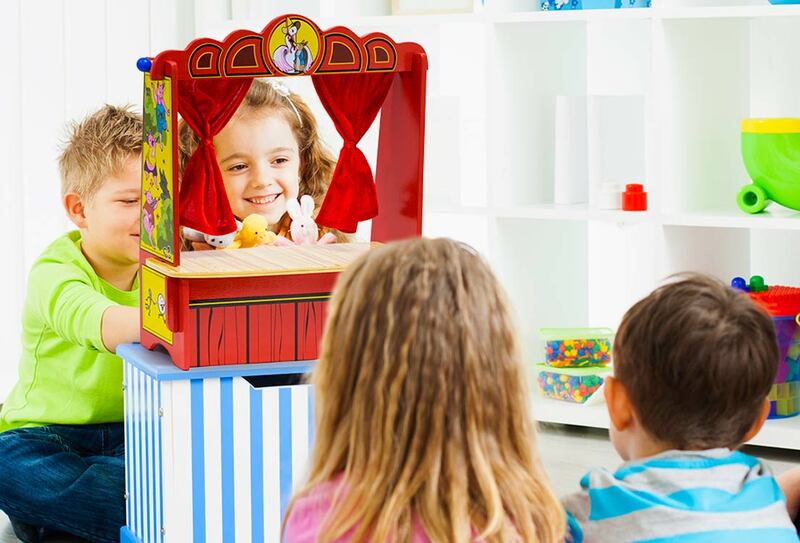 This is the best kind of pretend play: it encourages creativity, improves motor skills, develops confidence and language skills, and best of all, is perfect for children who are a little shy – they may find it easier to communicate their feelings through puppet play! Ask your littles if they’d like to host a proper tea party. Invite them to help you make cucumber sandwiches and buttered scones. Don’t forget that dolls and teddies are invited too! Watch a movie. Make some popcorn, get cozy and enjoy a movie afternoon. Have a pizza party! Let them decorate paper chef hats while you prep toppings, then let them create and enjoy their own pizza pie masterpieces. Get the games out! Boardgames, dominoes, a puzzle, or even games that you’d usually play outside, like bowling, or a ring toss game. 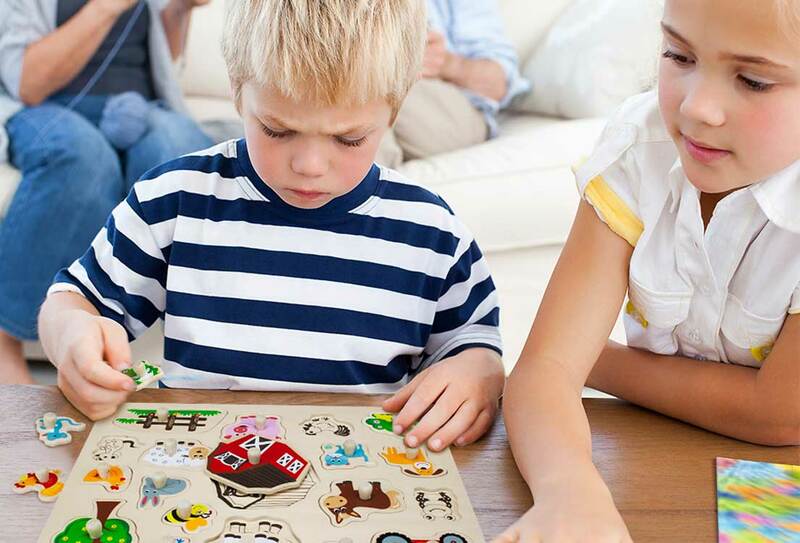 Visit the Oh Goodie Goodies Games & Puzzles selection for more indoor play toys. Have a dance party. Kids just love to dance, so throw some tunes on (Bruno Mars works a treat in our home) and let everyone let themselves go. Hold a scavenger hunt. Hide some of their toys and other objects around the house, then create a list or draw pics to help your child figure out what to search for. For even more ideas, take a look at the Oh Goodie Goodies ‘Indoor Play‘ Pinterest board. 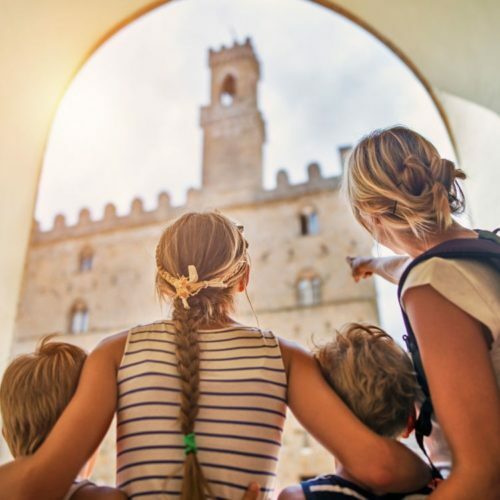 Yes, you can take your busy, noisy, easily-bored kiddo to a museum. Here’s how.